This one-kilogram (32.15 ounces) silver bullion produced by PAMP is one of the world's best-selling silver bars. PAMP Suisse is a world-renowned leader in the precious metals industry for its high-end bars. Throughout history, the price of silver has maintained its value, and it remains one of the best ways to preserve its heritage. The purchase of a PAMP Suisse silver bullion is the ideal opportunity to build a diversified portfolio and gain long-term value. Just like the PAMP silver coins, this unique 1kg silver bar would make a great addition to any precious metals investor, collector, or simply a passionate admirer. With stunning quality and timeless design, their silver bars are unique. Products at the heart of the precious metals industry - in Suisse, all silver bullion products contain their own serial number. 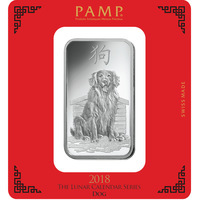 Each silver bar is unique and they are decorated with the PAMP logo, consisting of 4 circles, each containing respectively a letter of the word PAMP. 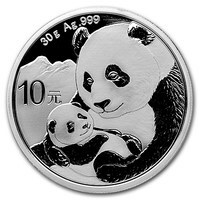 The bar also contains information on their purity (0.999 pure silver) and bar weight. Always be sure to protect your investments against fingerprints. We strongly recommend that you wear cotton gloves when handling your precious metal to protect it from scratches or damage. PAMP Suisse is the world's leading manufacturer of gold and silver, with a reputation of international renown. PAMP Suisse is one of the most famous gold and silver refineries in the world. In recent years, following sustained market growth and increased public investment in silver, PAMP Suisse has become a dominant player in the global precious metals market such as gold, silver, silver palladium, and platinum.